please don’t judge my no make up, post run face and my slight lazy eye.. Yesterday after church we headed to my sister Leah’s. 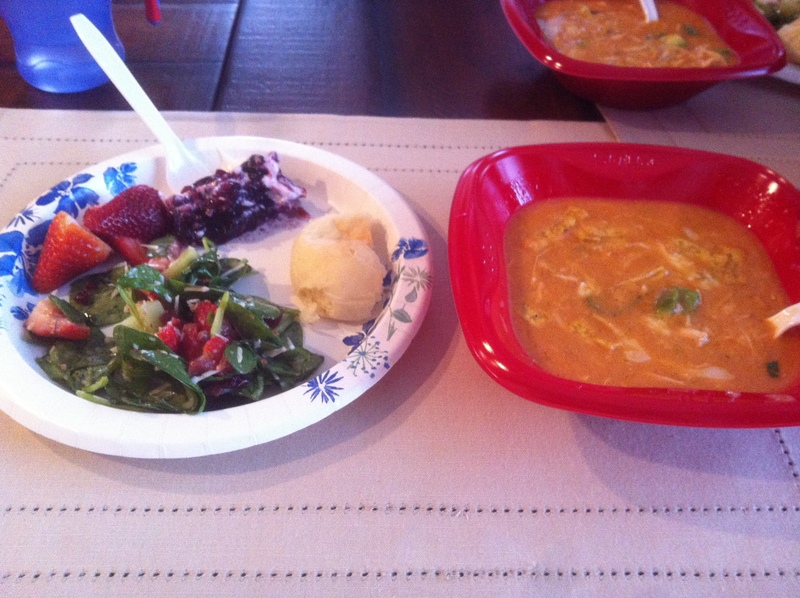 She made tortilla soup(need to get that recipe asap) and cheese and broccoli soup. Times the picture below by 3 and that’s what I had for dinner. So yummy! 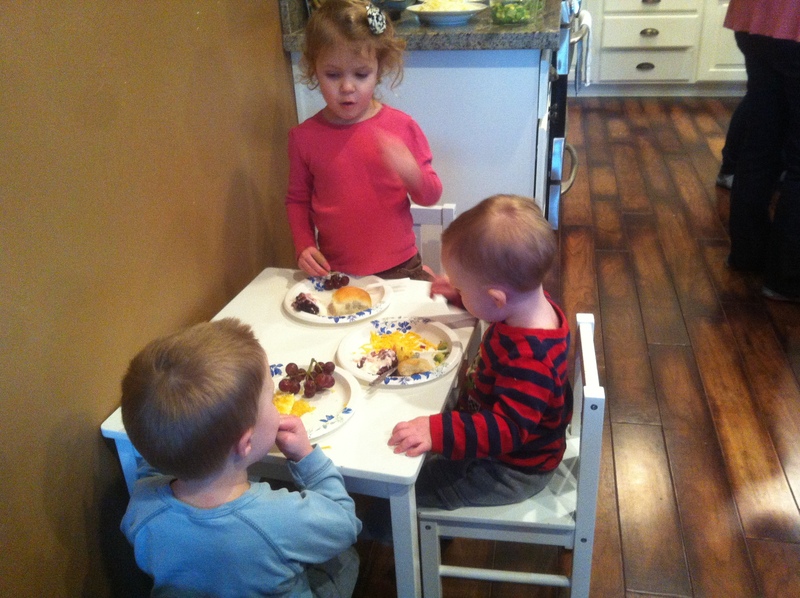 J even got to sit at the ‘big kid’ table. He was in heaven. That is until he got a little too excited about it, stood on top of the chair, and fell. Ya, that wasn’t so fun. Josh gets today off from work, so we’re headed to Salt Lake to play with my siblings and their families. Have a great President’s day! Did you get today off work? Did you start your week with a run? Do you have a running buddy? 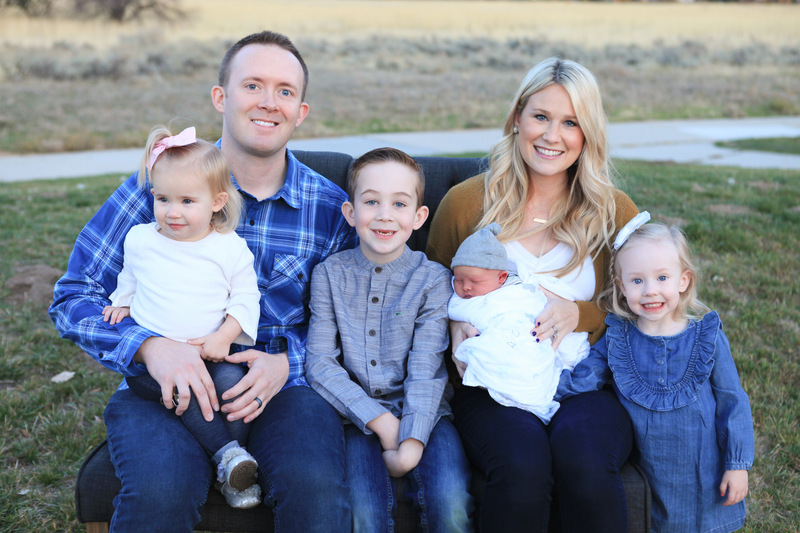 This entry was posted in Family, Jackson, Uncategorized, Workouts and tagged family, food, holiday, workout. Bookmark the permalink. 11 Responses to Happy Presidents day! Great work on those 7 miles!! I started my morning teaching my awesome spinners. Not off work today but definitely enjoying the sunshine and warmer weather here in Texas! I have been thinking about becoming a spin teacher, the only problem is I have never been or taught a spin class! They sound so fun, way to go! We have a long weekend up here..but it’s for Family Day – I think that’s the cutest day invented. haha! It sounds like you had a great run today! Running with a good friend always makes the miles fly by. 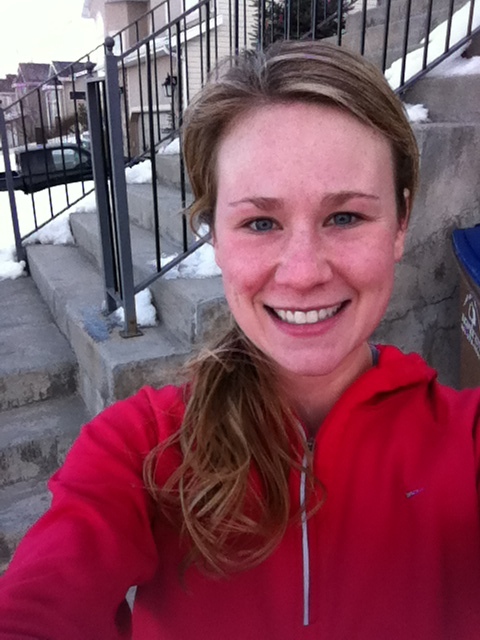 Also, if I looked as good as you do after your run, I wouldn’t need to wear makeup. 🙂 I’m currently unemployed, so I do have the day off (and every other day until I find a job…), which I’ve been filling with workouts. Yeah for fun runs with friends! I was off work today, but not because of President’s Day. . . Luke had ear tubes put in, so stayed home for him today! That is so lame! I’m so sorry=/ I hope you have a much better week!